As fall officially gets underway, it’s a great time to think about getting your home ready for the colder months ahead. The kids are back in school and the holidays are just around the corner – but decking out your home in pumpkins and mistletoe is just the beginning. You’ll want to be sure your home is functional, safe and convenient for houseguests, capable of creating just the right ambiance for your special gatherings, – and ready to handle the challenges a long, cold winter can create. Check out these 3 simple DIY projects you can accomplish in a single weekend, and enjoy the benefits for years to come. In today’s connected world, houseguests of all ages carry phones, tablets, laptops and other devices capable of charging via USB. 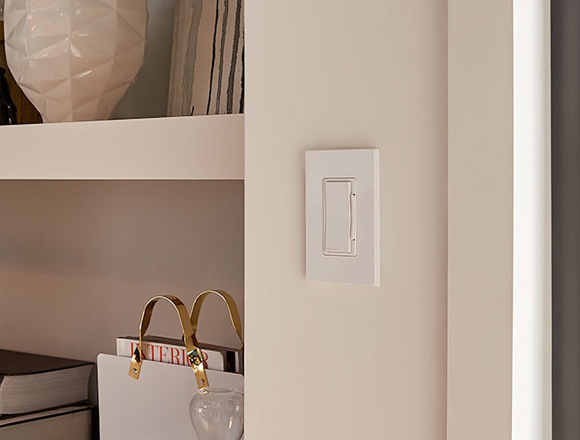 Installing a strategically placed USB outlet in guest rooms or near a common area, such as the living room couch, kitchen island or family room can add modern convenience while giving your space a style upgrade. 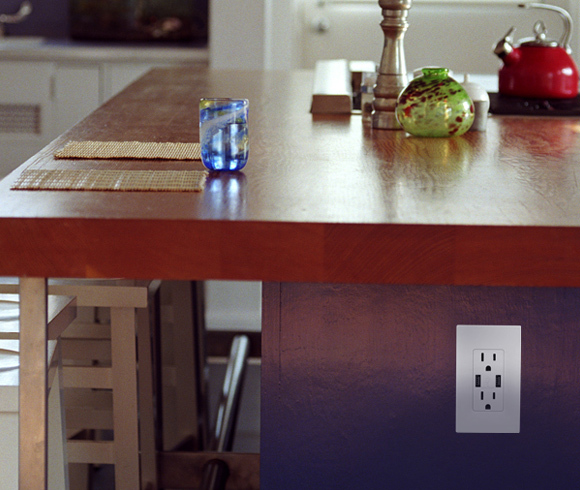 Not only will you love the extra fast charging Leviton’s USB outlet offers, you’ll also love not having to unplug an appliance to do it. Because it has two USB ports and two outlets, our USB Charger/Duplex Tamper-Resistant Outlet can do it all, and all at the same time. Whether you’re creating a romantic evening at home or hosting a holiday dinner with loved ones, it’s all about creating the perfect atmosphere. After you’ve finished decorating and put on your favorite music, don’t forget an often overlooked, yet essential element in creating ambiance – the lighting. Softly dimming the lights can help your guests feel relaxed, and lend a warm, casual feel to nearly any occasion. Wow your guests with a wirelessly controlled dimmer with Bluetooth technology, and watch your party turn from ordinary to extraordinary. During the spring and summer months, it’s easy to open the windows and welcome the fresh air into your home. Whether you’re taking a steamy shower or looking for a little ventilation in your basement or laundry area, reducing humidity can be as simple as cracking a window. But what about during the cold winter months? That’s where Leviton’s Humidity Sensor and Fan Control comes in. 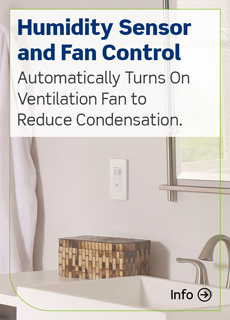 Installing this device means you’ll never have to worry about extra moisture in the air that may create unhealthy mold and mildew – and you can rest assured knowing your family and friends are breathing clean. 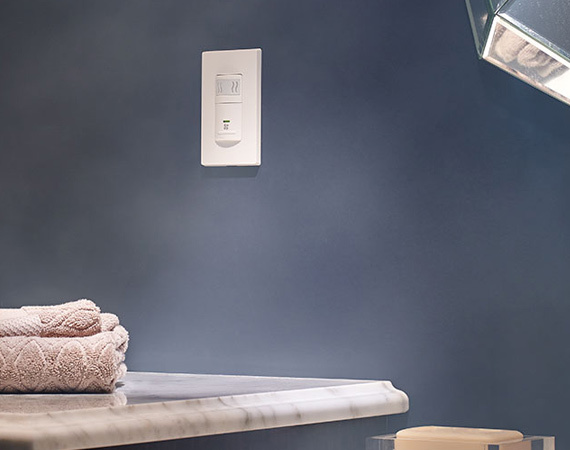 The Humidity Sensor continuously monitors the moisture level in the space it is installed, such as the bathroom, and automatically turns on your ventilation fan when it’s needed to clear the air.